In our system, your Tool Designer, has a wide choice of thickness in BC, with symbol 'R' & 'S', in support plate with symbol 'D' & 'E'. Further cavity and core plates 'A' & 'B', plates have wide choice for thickness to select most appropriate thickness for the tool being designed. 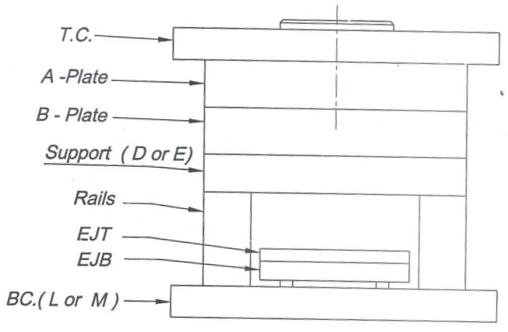 The last figure in bracket is the height of rail.